Watchdog Solutions SAP / DOT services are conducted by our Qualified Substance Abuse Professionals here in our office located in Lewisville, Texas. The US Dept. of Transportation requires specialized training for Substance Abuse Professionals (SAP) conducting DOT compliant substance evaluations for employees in safety-sensitive duties of all respects. In addition to substance abuse certification, DOT / SAP’s must complete 12-hours of specialized training every three years (continuing education) and pass a national exam specific to DOT guidelines. We will schedule most DOT/SAP evaluations within 24-48 hours, usually on the same day of your call. We will provide a written report with formal recommendations within 48 hours of the evaluation. 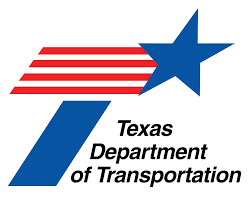 The Department of Transportation requires companies employing individuals with CDLs (commercial driver license) who work in safety-sensitive areas of transportation; railroads, aviation, construction, OTR, oil and gas pipelines, industries are subject to drug and alcohol testing and are required by DOT to perform such testing. DOT Under CFR 49 Part 40, The Companies are required to provide a referral to an employee requiring a SAP Assessment. Ready to Get Back on the Road! http://www.dot.gov/ost/dapc DOT published rules on who must conduct drug and alcohol tests, how to conduct those tests and what procedures to use when testing. These regulations cover all transportation employers, safety-sensitive transportation employee, and service agents. http://www.dot.gov/ost/dapc/employer.html employers as a resource for DOT drug and alcohol testing information. Why do I need a SAP? You may need a SAP evaluation if you are covered by the Department of Transportation (DOT) and have violated a Federal DOT drug or alcohol regulation. When a violation has occurred you must be removed from all safety-sensitive duties and undergo an evaluation with a SAP. It is important that a SAP conduct the evaluation in order to be in compliance with DOT guidelines. Not all drug and alcohol counselors can complete this type of evaluation. What should I know or bring with me to my appointment? At your appointment, it is important that you know the name of the Designated Employee Representative (DER). This is the individual the SAP will communicate with throughout the duration of the evaluation process. What types of interventions can a SAP recommend? At minimum, a SAP must recommend some form of an education program. I completed the interventions that were recommended. Can the SAP clear me for work? A SAP cannot clear an individual to return-to-duty. This is the responsibility of the DER. After the individual has completed the recommended interventions a follow-up appointment with the SAP is still needed. Proof of completion of these interventions must be sent directly from the provider to the SAP. Wait a minute—I’m not a DOT employee but my employer still sent me for a SAP evaluation. Is this necessary? Most employers today maintain a drug-free workplace. Sometimes even non-DOT employers will initiate the SAP process in order to assure a safe work environment as well as for the welfare of that employee.